Somehow the year is almost over. Thanksgiving comes early, too, as early as it feasibly can, which means Black Friday is just a few days away. Gift-buying season is about to hit full-swing, and if you need something special for the videogame fan in your life, here’s what Paste recommends this year. From arcade recreations to the latest in console bundles, there’s something here to please anybody who’s ever touched a joystick before. The classic arcade experience has been slowly lurching back to life for several years now, with arcade bars and retro arcades bringing us ever closer to those halcyon days of the ‘80s and ‘90s. There’s even a movement of home collectors creating their own private arcades throughout America. (Heck, I have six pinball machines in my living room.) If you or your loved one want in on that action but are worried about affording or maintaining decades-old machines, Arcade1Up offers a smart solution. Their arcade recreations are almost full-sized—at just under four feet tall, they’re perfect for sitting, and can also be boosted up to normal size with a riser or table—and replace hard-to-find and repair CRT monitors with modern alternatives. That might turn off true connoisseurs, but most people probably won’t mind. 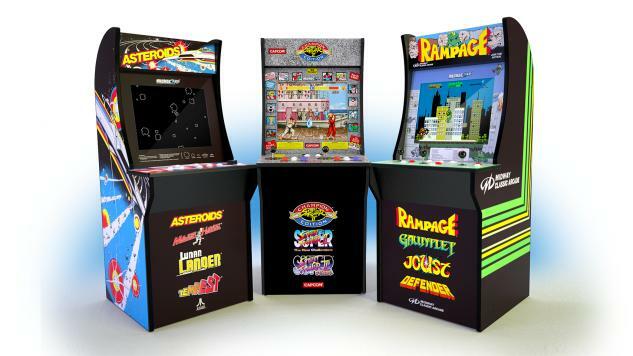 Each cabinet recreates the art and design of an original classic machine, from Asteroids to Rampage to Street Fighter II, and comes with between two and four games. You’ll feel like you’re pumping quarters back at the Aladdin’s Castle in no time. If those cabinets are still too big, Replicade Amusements from New Wave Toys might be the right size. These foot-tall recreations of classic arcade cabinets look, sound and play like the real thing, but are small enough to fit on a shelf. 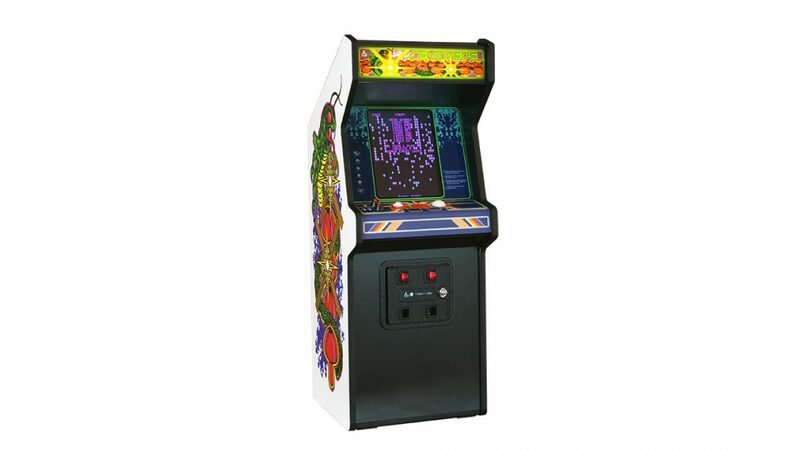 Centipede is the model that’s currently available, and although there are easier and cheaper ways to play this game today, the level of detail in this miniature cabinet is hard to beat. It even comes with tiny little quarters to slide into the coin slots. Did you know that you can design your own Xbox controller? That yellow and orange monstrosity above is the one I made for myself, for some reason. If you’re tired of the basic designs and game-specific models, or just want to put your own personal stamp on things, you can head to the Xbox Design Lab and build your own. It lets you pick the colors of six different parts of the controller—the front, the back, the D-pad, the thumbsticks, the bumpers, and the triggers—and has a few options for the face buttons, as well. You can add rubberized grips to the back, and also include a personalized engraving on the front. And in addition to the standard color options, there are now Camo and Shadow color patterns that’ll make your controller look like it’s ready for war or like it’s slowly fading away. Anybody who plays videogames knows they’ll be spending a lot of time with their controller, so they should get a say in how it looks. Helping them do that would be a very special gift. Nintendo’s cardboard kits for the Switch are the perfect gifts for those who like using their hands for something other than just videogames. Each one features a variety of cardboard paper craft projects and a Switch game; once assembled, all that cardboard combines with your Switch and Joy-Cons to create a uniquely physical gaming sensation. You can build a fishing rod, a working piano and more with the Variety Kit; put together your own personal collection of cardboard cars and other things that go vrooom with the Vehicle Kit; or turn yourself into a cardboard mech with the Robot Kit. It’s a videogame, a crafts project, and a physical activity, all in one box. It also requires the Switch. Sony dives into the retro miniconsole craze with the PlayStation Classic, a small box that comes loaded with 20 of the most popular games from the original PlayStation. Relive classics including Final Fantasy VII, Metal Gear Solid and Oddworld: Abe’s Oddysee on a miniature recreation of the original console that plugs right into your HD TV. 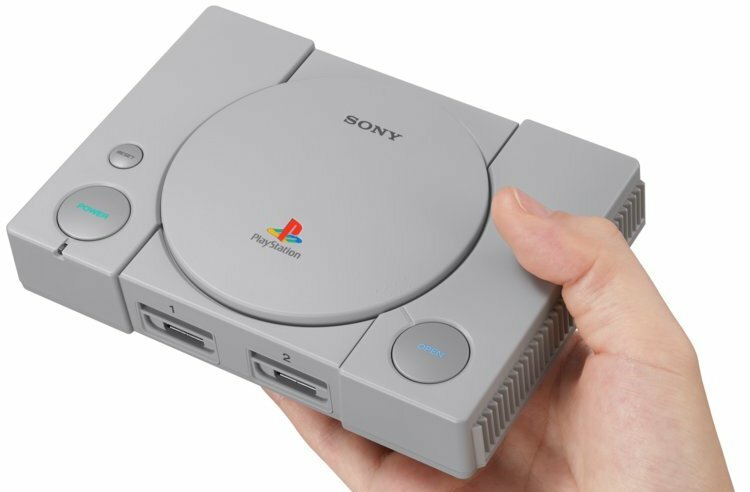 Whether your loved one wants to relive those simpler days, or wants to see what they missed out on the first time, the PlayStation Classic is a crash course in Sony’s first foray into videogames. Two of the most popular Mega Man games have big anniversaries this year, and to celebrate iam8bit has released limited edition physical cartridges. Mega Man 2 came out on the NES in 1988 (in Japan, at least), and Mega Man X hit the SNES in 1993. These special editions include fully working cartridges for those respective systems, with special Mega Man-themed colors and “premium” instruction manuals featuring forewards by guest writers (including former Paste contributor Salvatore Pane). There are various other little goodies and surprises in each box, making these the perfect gifts for your Mega Man mega fan. Ubisoft’s bringing back the toys-to-life genre with Starlink: Battle for Atlas, a sci-fi adventure that’s both a videogame and a toy line. You can build refit toy spaceships with different weapons which then become available in-game to help in your fight against evil aliens. If your children (or you—no judgments here) really miss Lego Dimensions or Skylanders, they might get excited about Starlink. It also might appeal to kids who thought the other toys-to-life games were a little too childish—Starlink has a militaristic vibe that places it not far from G.I. Joe or Star Wars turf. It’s available for the Xbox One, PlayStation 4 and Switch, and the Switch version comes with a ship based on Starfox’s Arwing. You don’t have to buy the toys to play the game, but they make the game more interesting. We’ve included Pixel Pals on our gift guides before, but we’re mentioning them again because they’re still cool and they keep cranking out new ones. These lights, which are about as tall as a typical soda or beer can, look like pixels from 8- or 16-bit videogames brought to life. It’s a warm, nostalgic aesthetic for an adorable line of night lights. The latest additions to the line include a Kingdom Hearts series (which are perfect for any Disney fan, not just Kingdom Hearts junkies) and lights based on Mortal Kombat, DC Comics, and Tomb Raider. The classic videogame gift, of course, is a new console. Everybody remembers that Christmas or Hanukkah when they got their Nintendo or PlayStation. The old Athens, GA, band Hi-Score, which featured the Chapman brothers from Homestar Runner and future members of Of Montreal, used to sing of one specific Atari Christmas they would never forget. 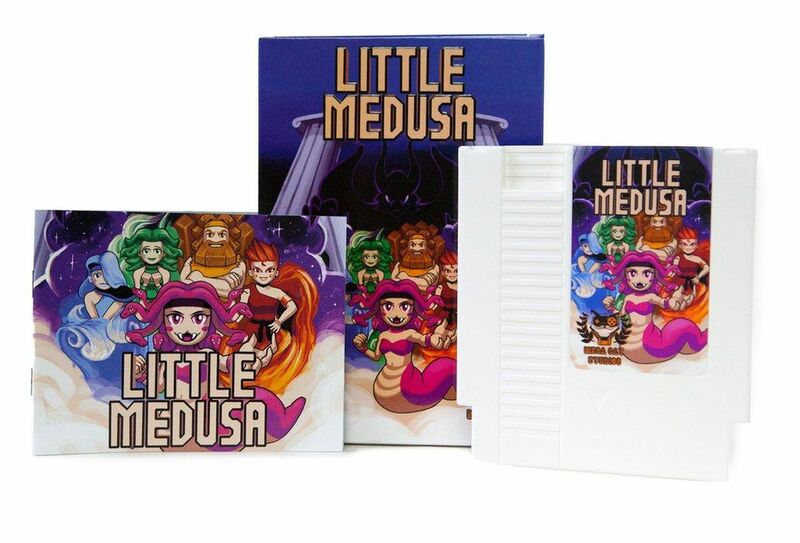 It’s an indelible memory for a reason, and it’s one you can help create this year for the game lover in your life. This year’s bundles include a variety of Xbox deals, like the Shadow of the Tomb Raider Xbox One X bundle, which comes with the system, a hard drive with a terabyte of storage, and a copy of Lara Croft’s latest adventure. Other Xbox One X bundles include the Forza Horizon 4 model, which comes with both that game and Forza Motorsport 7, and bundles with Battlefield V and Fallout 76. There’s also a unique Gold Rush Special Edition Battlefield V bundle, which features an Xbox One X with a special gray and gold color scheme and copies of Battlefield V and Battlefield 1943. All of these bundles retail for $499.99. If you don’t want to spring for the more powerful Xbox One X, you can also find Xbox One S bundles with a terabyte of storage and copies of Battlefield V, Shadow of the Tomb Raider or Forza Horizon 4 for $299.99. On the Sony front, you can find a PlayStation 4 Pro bundle with the super popular Red Dead Redemption II if you’re ready to upgrade to 4K gaming. If 4K doesn’t mean anything to you, there’s a great PlayStation 4 Slim deal with Sony’s excellent Spider-Man game. And there are also PlayStation VR bundles worth mentioning, one with the games Creed: Rise to Glory and Superhot VR and two Move controllers, and another with the great games Moss and Astro Bot Rescue Mission. You’d still need to own a PlayStation 4 or buy one separately if you grab either of those VR bundles. As for Nintendo, well, bundles for the Switch generally don’t include any price breaks. You’ll probably wind up paying full price, more or less, for a system, a pair of Joy-Cons and a game. The Switch is an amazing little machine, though, so it’s hard to complain about that. This season’s bundles will include a twofer with Mario Tennis Aces and 1-2-Switch, and then one with Super Smash Bros. Ultimate and specially designed Joy-Cons. The latest Smash Bros. isn’t out until early December, but that’s still enough time to have it ready for gift season.